Periodontal disease is a pet health condition that has become known as the silent killer. This disease not only affects the teeth and gums, it has the potential to cause an array of other serious conditions. But unlike most diseases, periodontal disease can be prevented with proper pet dental care. Partner with your veterinarian to help your pet avoid the consequences of this disease. 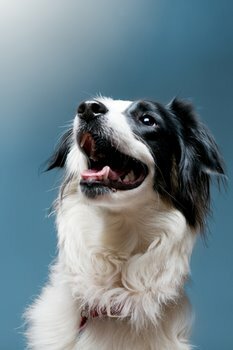 Having dog and cat insurance can help you afford to give your pet the best dental care available. The inflammation and infection that is caused by periodontal disease has been linked to a number of serious pet health conditions including: heart attacks, kidney disease, liver disease, diabetes, strokes and osteoporosis. Periodontal disease causes the destruction of the periodontal ligament and jaw bone, which anchors the teeth into the mouth. Periodontal disease begins with plaque, which is caused from bacteria and food particles. The particles become attached to the surface of the teeth and form plaque on the teeth as well as below the gum line. The plaque under the gum line causes gingivitis, which is an inflammation of the gums. If left untreated, the saliva in the mouth causes the plaque to become calculus. In most cases this condition can be reversed with a professional dental cleaning. If the condition is not treated, the gums will become inflamed to the point where the tooth will be lost. In most cases, periodontal disease is detected before it reaches this irreversible state. It is important that your pet receives proper dental care to keep periodontal disease at bay.